The Edinburgh 1910 World Missionary Conference. 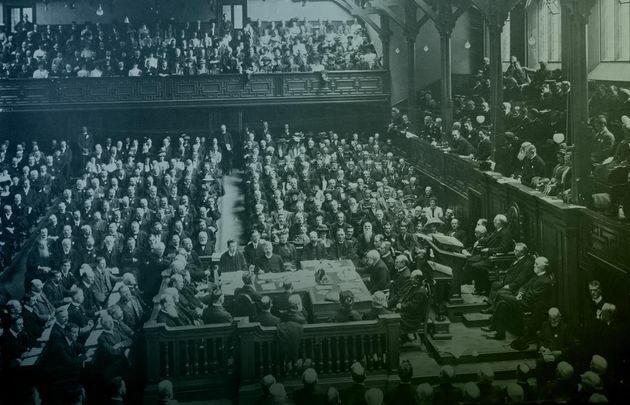 The Edinburgh 1910 World Missionary Conference is the best-known missions conference in history. What made this conference so important was demonstrated by its nickname: the birthplace of the modern ecumenical movement. Ironically, it was not even very ecumenical: it lacked denominational diversity (it was mainly Protestant, with a sprinkling of Anglo-Catholics), it lacked enough women, it lacked ethnic diversity (it was mainly Western, and Anglo-American at that), and it lacked geographical diversity (it had no black Africans, only 17 Asians, and no Latin Americans whatsoever). However, it spawned a Continuation Committee which led to the formation of the International Missionary Council, the World Council of Churches, and the Lausanne Movement. Its aftereffects are what gave it its vaunted nickname, not the conference itself. This was organised by the late Ralph Winter and the US Center for World Mission. 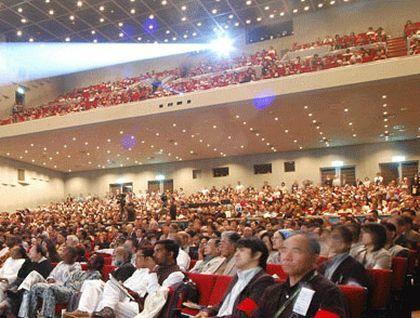 It was held in Tokyo as a contrast to Edinburgh 1910: a conference held not in the heartland of Christianity but in one of the least Christian places on earth—Japan. The conference itself stood as a beacon, acting as a witness in a spiritually barren land. This was representative of the man himself, as Ralph Winter always pushed the frontiers of evangelism. It was a thoroughly evangelical conference about frontier evangelism to unreached people groups. Just as John R. Mott was a towering figure at Edinburgh 1910, the spirit of Ralph Winter permeated Tokyo 2010, even as it was organized by the Japanese churches with a lot of funding and backing by the Korean churches. About 1,200 people attended. 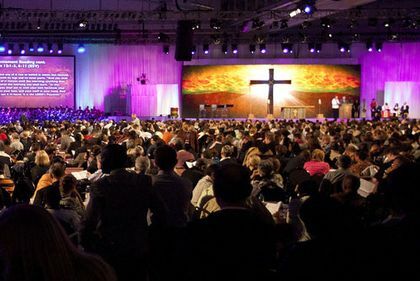 The smallest of the five conferences at less than 300 people, it was also the most deeply ecumenical, having representatives from the five major groupings (as they saw it) of Christians in the world: Catholics, Orthodox, mainline Protestants, Evangelicals, and Pentecostals. Edinburgh 2010 closing celebration. / Gary Doak. This conference paid a lot of attention to commemorating history, taking place in the same hall as in 1910. It spawned a book series called the Edinburgh Centenary Series published by Regnum (the Oxford Centre for Mission Studies) covering a wide range of missiological topics, thus far up to 36 volumes. As with Edinburgh 1910, what came after the conference was much more impactful than the conference itself. Technically, it was not a stand-alone conference, being the third Lausanne Congress. However, one has to go even further back than Edinburgh 1910 to find the original inspiration for this. The Edinburgh conference was held in 1910 because William Carey, the Father of Modern Missions, had suggested an 1810 ecumenical missionary conference in Cape Town which was dismissed as far ahead of its time. Though only Evangelicals were invited, there were Catholic and Orthodox observers in attendance. The conference organizers tried to be all-inclusive and cover every missiological issue. Similar in size to Edinburgh 2010, this conference was very diverse, being hosted in a multi-site structure by the various seminaries that comprise the Boston Theological Institute. This exhibited, in microcosm, the idea of polycentricity. More importantly, it emphasised the role of students, an idea birthed out of Edinburgh 1910. John R. Mott recognised that students make the best missionaries, being educated, physically in their prime, zealous, and usually without family attachments. 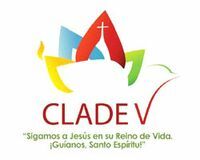 Like Lausanne III, this was not a stand-alone conference but the latest in a series, namely the fifth CLADE (Congreso Latinoamericano de Evangelización), organized by the FTL (Fraternidad Teológica Latinoamericana). This was the only one of the five conferences that was not held in 2010—it was delayed two years until 2012. The signature motto of the FTL has been misión integral (holistic mission) and that was on full display at this conference. This was also the only one of the five conferences that was not mainly held in English, with Spanish as the language of choice, thus giving it more of a Global South mood. There was an interesting historical parallel to a century ago: at Edinburgh 1910, Latin America was left off the map in an attempt to remain ecumenical. The Anglo-Catholics in attendance regarded Latin America as fully Catholicised, and any attempt to evangelise it would be tantamount to ‘sheep-stealing’, in their opinion. So the Protestants relented and ignored Latin America completely. The Latinos were irked at their exclusion; so they organized their own conference six years later, Panama 1916. Similarly, in the 2010 conferences, four of the five major continents were represented, but again Latin America was missing. Thus, two years later, CLADE V was convened. 1. Is it artificial only to focus on these five conferences? No, because the historical lynchpin tying these together is a photo of the organizers of the five conferences (Ralph & Barbara Winter of Tokyo 2010; Daryl Balia of Edinburgh 2010; Doug Birdsall of Cape Town 2010; Dana Robert, Todd Johnson, and Rodney Petersen of 2010Boston; Ruth Padilla DeBorst of CLADE V) meeting together in November 2008. This shows that the intention of the planners, from the very beginning, was to link these five conferences. 2. Who did the ‘best’ job of being the successor to Edinburgh 1910? All of them, together. Polycentricism is how mission is done today, in light of the shift in the center of gravity of Christianity to the Global South. In 1910, missions was ‘from the West to the rest’; so the monocentric nature of Edinburgh 1910 suited it. Today, mission is ‘from everyone to everywhere’; so multiple conferences are needed. This is not really anything new, simply a return to Christianity’s polycentric origins. Israel was strategically chosen by God for many reasons, not least for its missiological implications, being at the crossroads of three continents: Africa, Asia, and Europe. Even the five original patriarchates sat on three continents: Rome (Europe); Constantinople (Eurasia); Antioch (Asia); Jerusalem (Asia); Alexandria (Africa). 3. Why do conferences matter? They are like weddings. Mission conferences are celebrations where things start, and it is important to understand starting points to see how they later develop. However, most Christians in the world were not able to go to any of these conferences. My recent bookvii provides a snapshot, similar to a wedding photo album. One does not have to have gone to a couple’s wedding to be involved in their lives later, because anyone can be filled in on a couple’s backstory. However, the book offers a one-stop summary of what the top missiological leaders in the world are thinking, to facilitate future engagement. 4. What is the most important takeaway from these conferences? Not the conferences themselves, but what came afterward. Four of them produced significant documents: the Tokyo 2010 Declaration, the Common Call (Edinburgh 2010), the Cape Town Commitment, and two from CLADE V: Creation Care Declaration and CLADE V Pastoral Letter. 2010Boston did not produce a document, although a book was published compiling all of its conference papers, entitled 2010Boston: The Changing Contours of World Mission and Christianity. - China’s future political and economic role as well as Christianity (China was the biggest missing component in these five conferences, as most of the intended delegates were prevented from attending by the Chinese government). More conferences need to happen in the future to address new needs that arise so that mission leaders can collaborate instead of each trying to reinvent the wheel and wasting unnecessary energy as a result. Interestingly, in October 2016, the same month my book was published, the World Evangelical Alliance’s Mission Commission held their 14th Global Consultation in Panama. About 300 people attended from over 80 countries. This was unbeknownst to me, and they were equally unaware of my book. The parallels and coincidences were particularly interesting: they were celebrating the 100th anniversary of Panamá 1916, and their conference theme was Polycentric Mission: From all nations to all nations! They independently confirmed my conclusion: that the future of mission is polycentric, and that the entire global church—whether denominational or geographic or age or gender or ethnicity—needs to work together to bring the Gospel to the nations. At the same time, ecumenism does not mean we compromise our theological integrity; holding to both unity and truth at the same time is the standard to which Jesus calls his church. We have a bright future ahead of us, as Christianity continues to maintain its role as the largest religion in the world (though not the fastest-growing). However, even more so, Christianity is the most geographically widespread, with no one ethnic majority and no geographic center (we do not have the equivalent of Mecca or Varanasi or Salt Lake City). Unity in diversity is a much more important characteristic than speed of growth, ensuring that Christianity is poised for a strong future. Hallelujah! Dr. Allen Yeh is Associate Professor of Intercultural Studies and Missiology at Biola University near Los Angeles. He is the author of numerous journal articles and book chapters. i Ralph D. Winter, ‘Edinburgh 1910 in the Year 2010’, Mission Frontiers, January–February 2009, www.missionfrontiers.org/issue/article/edinburgh-1910-in-the-year-2010. ii John W. Kennedy, ‘The Most Diverse Gathering Ever’, Christianity Today, September 29, 2010.
iii Editor’s Note: See article by Doug Birdsall, entitled, ‘A Personal Reflection on Cape Town 2010: the impact of Cape Town 2010’ in November 2015 issue of Lausanne Global Analysis https://www.lausanne.org/content/lga/2015-11/a-personal-reflection. 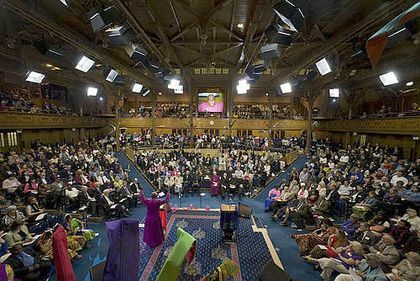 iv Editor’s Note: See article by Rudolf Kabutz, entitled, ‘Engaging the Church in Africa in Its Key Mission Issues to 2050: the impact of Cape Town 2010’ in November 2011 issue of Lausanne Global Analysis https://www.lausanne.org/content/lga/2015-11/engaging-the-church-in-africa-in-its-key-mission-issues-to-2050. v Editor’s Note: See Manila Manifesto https://www.lausanne.org/content/manifesto/the-manila-manifesto and Cape Town Commitment https://www.lausanne.org/content/ctc/ctcommitment. vii Allen Yeh, Polycentric Missiology: 21st-Century Mission from Everyone to Everywhere (Downers Grove: IVP Academic, 2016). viii Mark Labberton, ed., Still Evangelical? : Ten Insiders Reconsider Political, Social, and Theological Meaning (Downers Grove: IVP, 2018). ix Editor’s Note: See article by Tom Harvey entitled ‘Trump’s First 100 Days: what does the “Trump Effect” mean for the church and mission” in July 2017 issue of Lausanne Global Analysis https://www.lausanne.org/content/lga/2017-07/trumps-first-100-days. x Editor’s Note: See article by Kirsteen Kim entitled ‘Unlocking Theological Resource Sharing between North and South: the need for missional theological education that values the whole church’ in November 2017 issue of Lausanne Global Analysis https://www.lausanne.org/content/lga/2017-11/unlocking-theological-resource-sharing-north-south. xi Editor’s Note: See article by Thomas Albert Howard entitled ‘A Call to Christian Unity for the Sake of the Great Commission: the 500th Anniverary of the Protestant Reformation’ in November 2017 issue of Lausanne Global Analysis https://www.lausanne.org/content/lga/2017-11/call-christian-unity-sake-great-commission. [Video] What is the Lausanne Movement all about?